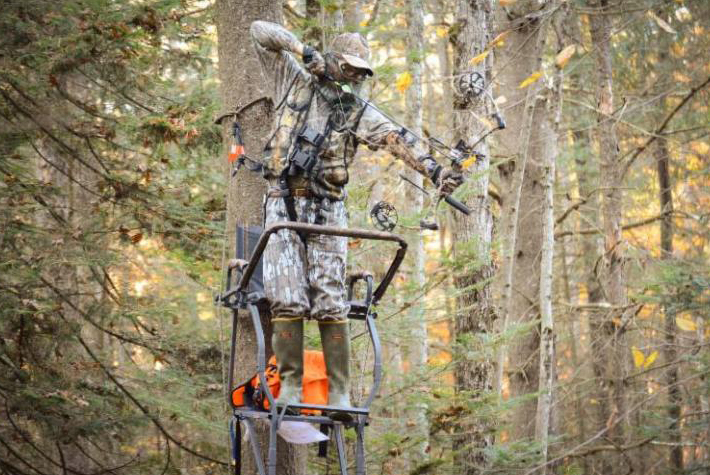 Bowhunting involves a different set of skills that hunting with a firearm. While the goals are the same (taking down game), the way that bowhunters need to shoot their game is quite different. 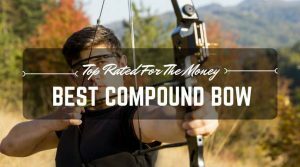 Since it takes longer to shoot a bow than it does to shoot a firearm, the effectiveness of the shot must be considered. 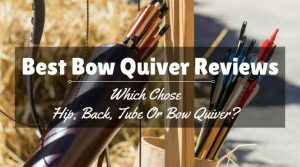 Due to the fact that the moment of firing the bow can be stressful, it is a good idea for bowhunters to have a few plans regarding where to actually aim the arrow on the deer. 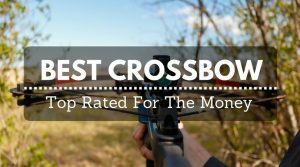 Bowhunters needs to have the goal of firing a clean and deadly shot. Otherwise, the deer and your arrows will get away from you. There are some shots that are much more effective than others, but not every shot is available when the perfect whitetail gets into your range. You have to take the best shot for your angle and your skill. One of the best shots to make is the broadside shot. This is the shot that gives you full view of either side of the deer. In many cases, this shot cannot be made from a tree stand, but needs to be made from a lower perspective. The best thing about this shot is that it is one that most hunters practice at the range and the broadside of the deer is one of the largest sides to aim for. The best point of aim is to imagine the arrow going right through the body cavity at the center point. With a good broadhead, you should be able to shoot and pierce a plethora of organs that will ethically take down any legal deer. Another good shot to take is from the treestand. This is the quartering shot with the deer pointing away from you. While you are in the treestand, you have a good view of the back and rear of the deer as it walks away from your position. It is important that you do not aim to far from the deer in the direction it is walking. You want to aim toward the far-side front leg. This will give you a good shot of the body cavity so the deer will not be able to get away. Imagine where you want the arrow to exit the body and you should be able to get the shot you need. As the quartering-away shot is highly effective, so is the quartering-toward shot. This is when the deer is actually walking toward your position. The key to success in this shot is to wait until the broadside shot is available – and it should be. But, if the deer is moving quickly or is startled, you might not be able to wait. 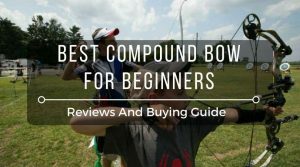 So, the best place to shoot is toward the front leg that is closest to you. This way you can pierce the body and do damage that keeps the deer nearby. Since this shot does cross the line with ethics, it is important to be sure that the shot is taken at a proper distance. And while you wait, be sure the deer moves in a way that exposes the organs. The Texas-Heart shot is another effective shot, especially if you can get it. This is not the easiest shot to take, because the deer’s rear end has to be facing you. The Texas-Heart shot is when you aim toward the rear legs because the femoral artery is there. If you get the shot, the deer might be able to run about half the length of a football field before bleeding out and collapsing. But, the target is difficult because it is small. If you miss the shot, the deer will not die quickly, so it is not the most ethical shot to take. But, if you have good aim and the perfect conditions, it is one of the most lethal shots available. While there are several good shots to take, there are also several shots that rarely ever work and are unethical options because they usually cause flesh wounds rather than mortal wounds. 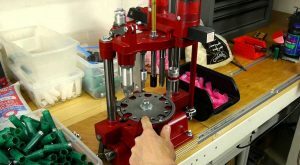 The straight-on shot is one of the least effective shot because of the difficulty of penetrating the head. Another difficult shot is the straight-down shot, because the deer can usually get away after the shot. When you shoot straight down from the tree stand, your arrow does not have much time to be effective. 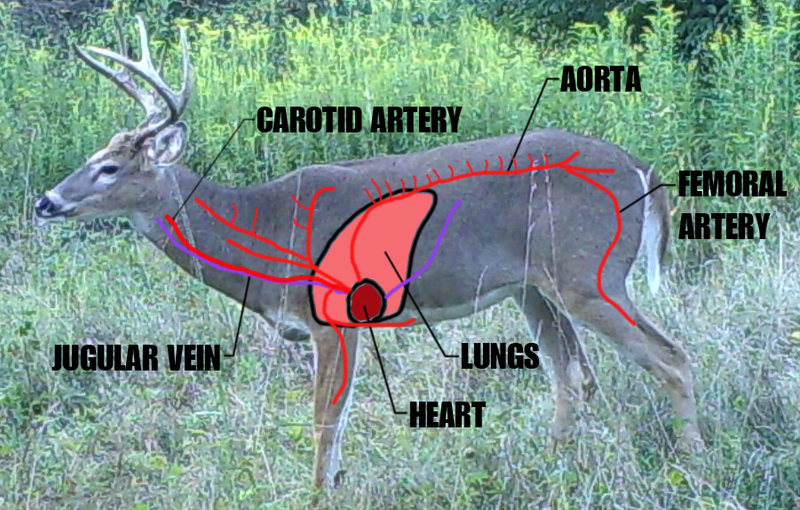 Most hunters only puncture one lung, so the deer can survive for a long time. This makes the shot extremely unethical and the deer rather hard to track. The straight-down shot is tempting, but the vitals from this angle are difficult to hit. The spine and spinal cord are only two-inches in width. And there is enough bone and muscle around the spine to make it tough to penetrate. If you are able to shoot from a straight-down angle, the liver is the best spot to aim for, if you know where it is. It is not protected by the rib cage and it you can penetrate it, the deer will die quickly. The best spot to aim for, if you do not know where the liver is, is anywhere behind the front leg and before the rear hamstring. 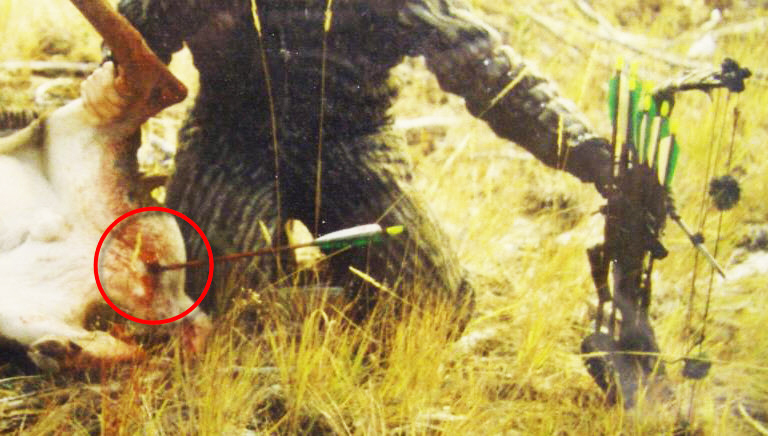 With this type of a shot, you should be able to hit something that will hurt and take the animal down successfully. The headshot is another shot that seems tempting, but is challenging to make. If you can get the shot in the perfect location, the deer will fall immediately. 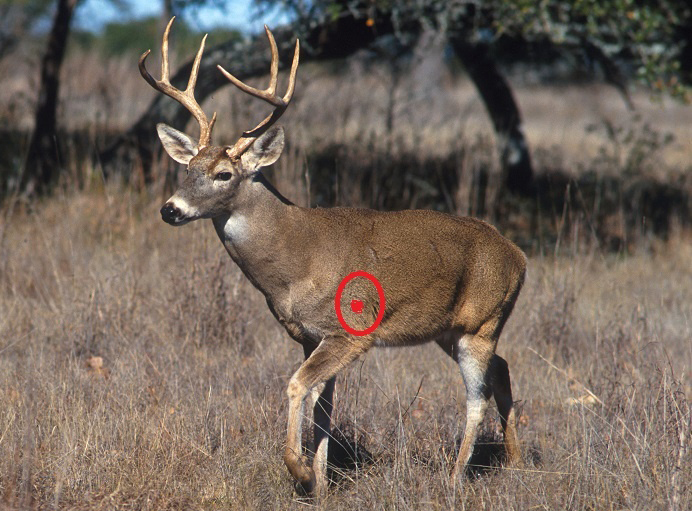 Unfortunately, the deer will most likely move before the arrow gets anywhere near, especially if the deer moves when the bow releases the arrow. It is better to wait for a broadside shot, rather than to waste an arrow aiming for a tiny spot on an unpredictable beast. 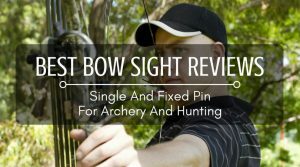 If these shots are not available or are too difficult, it is a good idea to know where the absolute best spot to shoot a deer with a bow happens to be. That spot is behind the shoulder about four inches – this is exactly where you should aim. When you make this shot, you will hit the thoracic cavity and take the deer down. 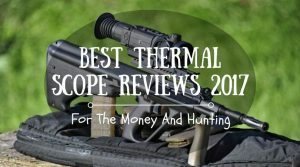 Unfortunately, too many hunters aim elsewhere so they hit the spine, the brisket, or the shoulder and the deer gets away. 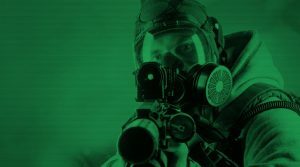 Aiming four inches past the shoulder gives you some room for error, especially since you are getting into the chest cavity, where there are enough vital spots that can be lethal. It is best to aim for something vascular, because the deer will bleed out before getting too far away if you do not get the best possible shot. If you aim for the back side of the deer, you will get more muscles and flesh for the arrow to pierce. This is why the spot just behind the shoulder is ideal; there is less muscle to pierce. Prior to your first time in the woods, it is a good idea to study the anatomy of the whitetail so you know exactly where to shoot and you do not have to think about it. When you are in the woods and the opportunity arise to make a shot, your adrenaline will spike, so you might not think clearly. If you can make the decision as automatic as possible, you will have success.